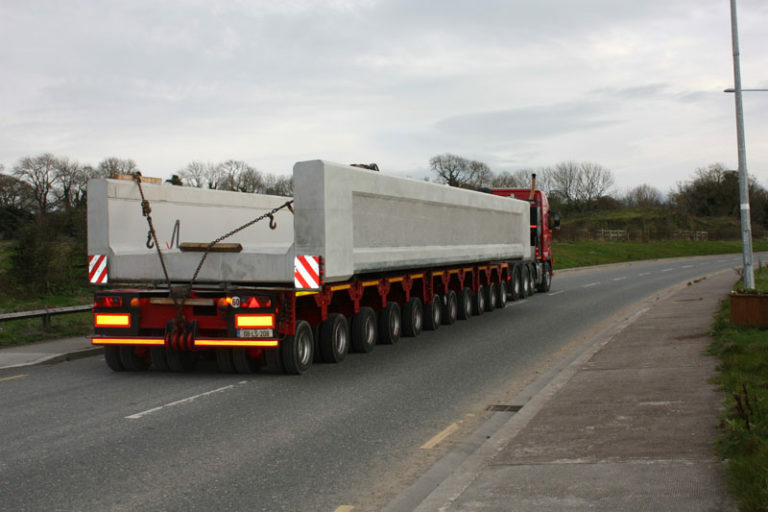 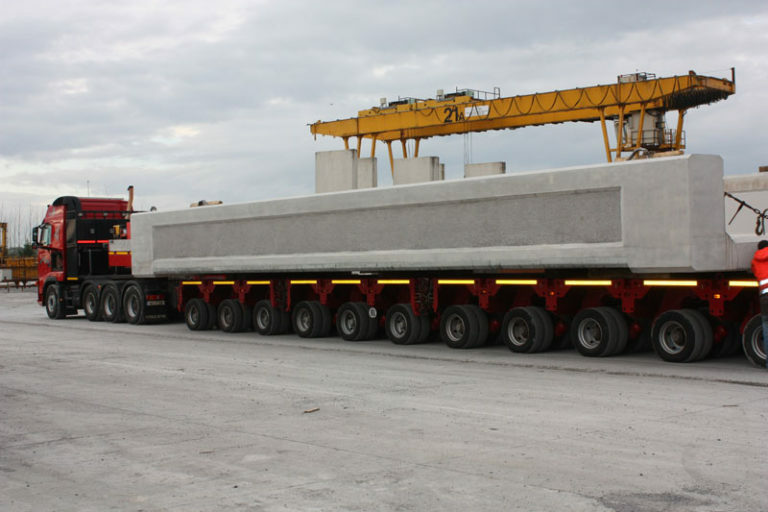 We were awarded the contract to manufacture and deliver the precast units for UB327 on the Dublin to Wexford line by BAM for Irish Rail. 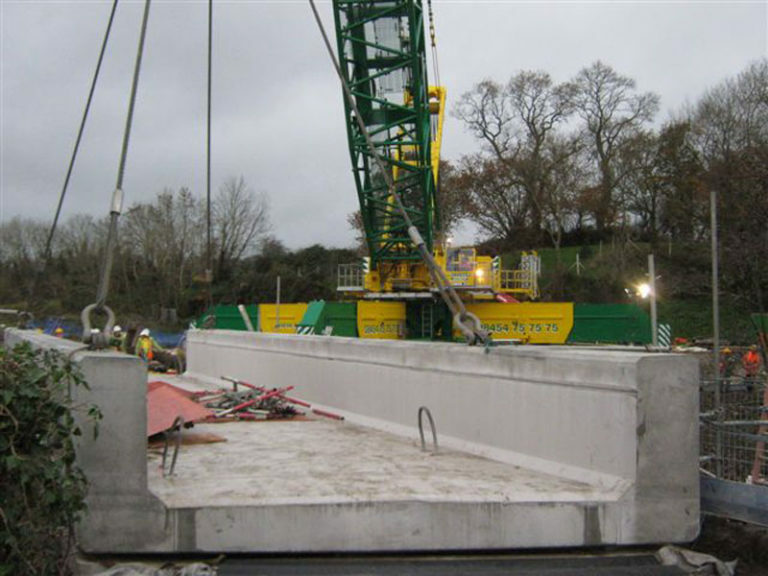 The contract consisted of a complete single precast deck unit, ballast retainers and cill beams. 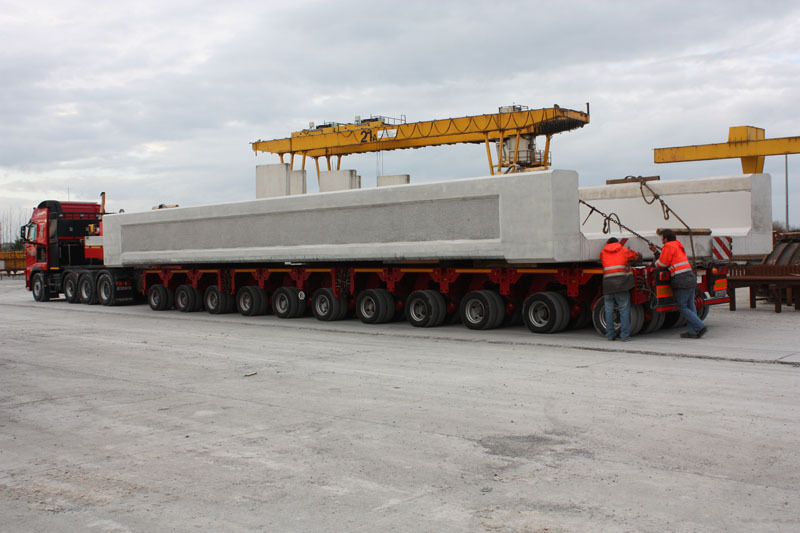 Due to the typical size of these deck units they are usually precast in segments and then stitched together on site. 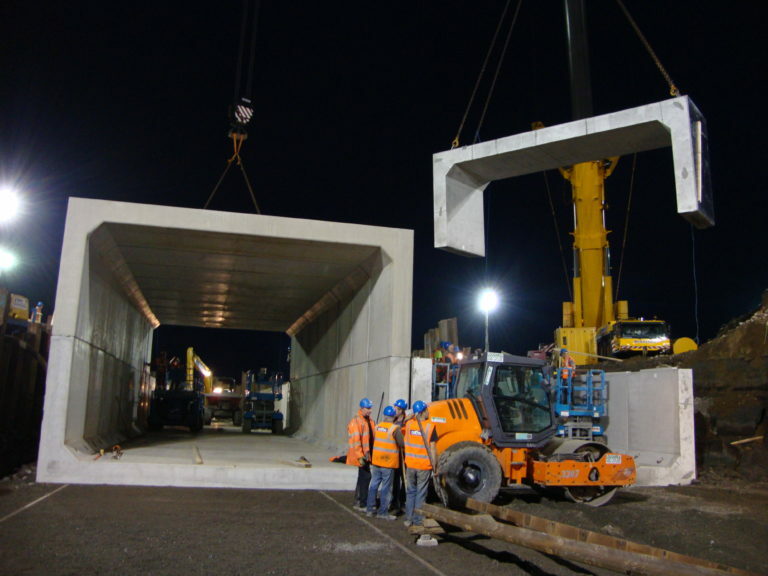 However we manufactured the entire deck unit in one single piece thus allowing it to be delivered and erected on the same night during a single rail possession. 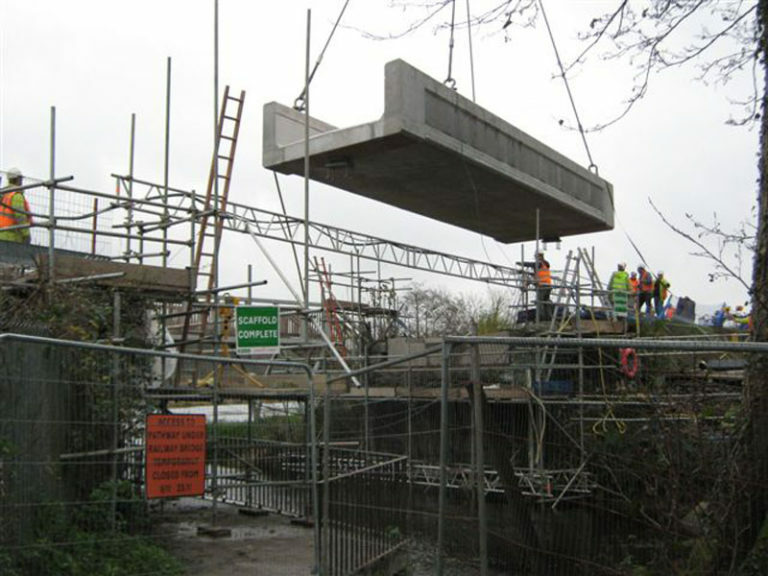 This also eliminated insitu stitching works and the associated delays due to curing time required. The Deck Unit measured 17.7m long, 4.6m wide and weighed over 115 tonnes. 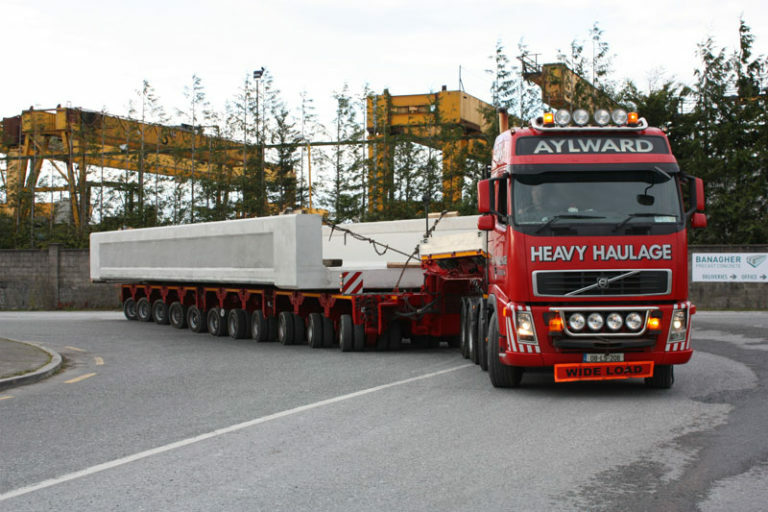 Special transport equipment was required to transport the deck to site, with a total of 15 axles required to distribute the load.